EstroWeb Review 2019: Is EstroWeb a Good Hosting? 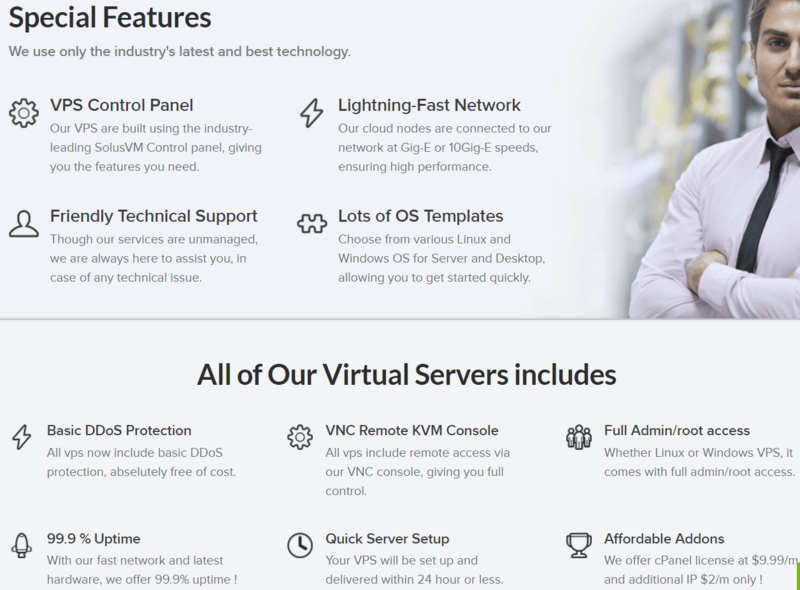 EstroWeb offers affordable KVM virtualized servers with a decent amount of configurability. Choose between multiple European or North American data centers, some of the best hosting control panels, and whether you want a server optimized for speed or storage. EstroWeb forms part of the larger Estro OÜ, one of Estonia’s top web hosting companies. EstroWeb itself specializes in virtualized KVM server tailored to customers’ specific needs. They are a very affordable VPS hosting company that gives you a good amount of control over configuring your server. They also operate multiple data centers in France , Netherland, Luxembourg, UK and Germany, USA, and Canada. EstroWeb doesn’t allow you to configure your own server resources, but they do provide a very handy catalog of server packages geared for different users. If you’re going to run a content-heavy hosting solution, then you can get up to 2 TB of storage. On the other hand, if its less about quantity and more about stability and speed, you can opt for less storage but using SSD drives. Similarly, if you’re going to run computationally heavy software then they offer a number of servers with more CPU cores. If none of the standard configurations suit your needs, you can contact them for a custom solution. Similarly, you get to choose from a few of the best control panels and the most popular operating systems around while the SolusVM is provided as a way to manage your server. You can also access it at the root level using VNC. You also get to take advantage of their great network architecture with 10 Gbps Gig-E Standard ports, not to mention the fact that they have multiple global data centers. Unfortunately, it might take longer than most hosts to set up your server – up to a day. They claim to maintain uptimes of 99.9% but don’t back this up with a guarantee or SLA. 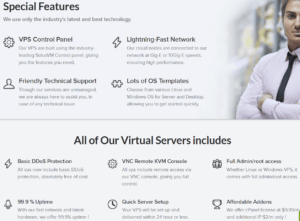 EstroWeb’s VPS packages follow a basic pricing structure with 12 different configurations divided between balanced, high storage, and high CPU servers. Understandably, the high CPU configurations are the most expensive. The balanced and high storage configurations cost the same because the former makes use of SSD drives while the latter are standard hard drives. I have to say that their prices are extremely affordable considering the resources you get. I might just believe their slogan of “best performance to cost ratio”. However, keep in mind that these are bare servers, and you’ll need to pay extra for some basics like a control panel, backups, and extra IPs (although they charge much less for it than most hosts). You can, however, use the VespaCP control panel for free. Their use of the word “unmetered” for bandwidth is bit misleading as their is a limit of between 5 and 40 TB after which you’ll be charged for more. They might only offer a 3-day money back guarantee, but it’s not as common for VPS servers as for other types of hosting so this is still a good offer. Other good news is that they can arrange a discount if you purchase multiple servers from them. Unfortunately, EstroWeb only provides support during office hours which are between 10 AM to 5 PM Monday to Saturday (GMT +2). However, you can reach them via email/ticket, live chat, and the phone. They also have a knowledge base, although the topics are limited and there aren’t many beginner-orientated articles. Overall, their support is quite good, although it’s by no stretch the best or most responsive I’ve used. There’s no denying the fact that EstroWeb offers incredible value for money if you weigh your server resources against the price you pay. However, don’t expect all the bells and whistles despite a decent amount of customizability. Affordable KVM Hosting from Multiple Countries! Wondering how EstroWeb stacks up against other Web Hosting companies? Enter any other Web Hosting company and we will give you a side-by-side comparison.